It’s that time of year again. The supermarket aisles are filled with plastic pumpkins and however many other Halloween spin-offs the buying team was able to order from China. It always irks me to see an ancient and interesting festival being used to relieve consumers of their money for yet more junk to fill our attics and oceans. The social and ecological objections may hold good but, as Jason Mankey points out, bemoaning the commercialisation of the ‘true’ festival makes little sense. 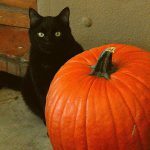 Modern-day Halloween is a curious amalgamation of various traditions and customs which have evolved and overlapped over time: the Celtic festival of Samhain on October 31st and the Christian All Souls’ Day on November 2nd, plus All Saints’ Day, which begins with the ‘hallowtide’ vigil on the 31st. Not much is known about Samhain’s origins in the Celtic pagan world, and there is little to suggest it was concerned with the dead and discarnate. But it seems reasonable to conclude that, in line with the other festivals that punctuate the agricultural year, Samhain marked the beginning of winter, the time when life became less certain and darker in all senses. As such, it was perhaps a time of cultivated fearfulness, with rituals designed to acknowledge and come to terms with forces beyond human control. 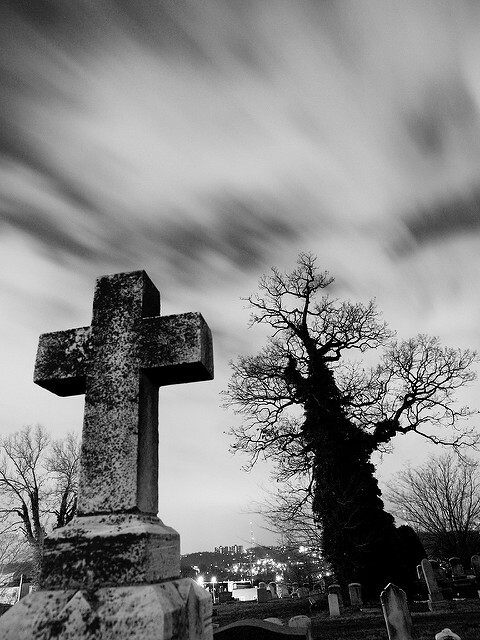 All Souls’ Day, on the other hand, is traditionally a time when good Christians remember their dead. Its association in the Catholic Church with the doctrine of purgatory – the state in which saved souls undergo a process of purification before proceeding to heaven – makes it a natural time for popular intercession. On All Souls’ of times past, the living helped to alleviate the suffering of their dead through the lighting of candles – soul lights – or the giving of soul-cakes to the needy. Its calendar-neighbour All Saints’ Day also gives expression to this sense of a powerful bond between the living and the dead. Thanks are given for the lives and deaths of the saints who remain responsive to human prayers from their place in heaven. Today, in various countries around the world, observance of All Saints merges with the remembrance of the dead, with customs such as the taking of flowers to the graves of loved ones. In some countries, it’s a full-blown party in the graveyard, as held in Spain on the Dia de Todos los Santos. In this respect it’s perhaps not surprising that Halloween is close, in both date and mood, to another early winter festival that centres on our difficult relationship with modern, man-made death: Remembrance Sunday. My uneasy feelings about the militaristic way we mark that day in this country crystallised in the course of research for The Secret Life of God, thanks to a sermon given by Art Lester at Croydon Unitarian Church. The Revd Lester drew on his experience of the easy mixing of the dead and living on All Saints’ in Spain – see the full account here – using it to highlight the contrasting, death-denying attitudes prevalent in Britain. And so it was that the intertwinings of our festivals of the dark enlightened me. But the last word, for those of us celebrating Halloween this year, goes to Ovid by way of a rebuke to the purveyers of Halloween plastic: “Ghosts ask but little: they value piety more than a costly gift”.